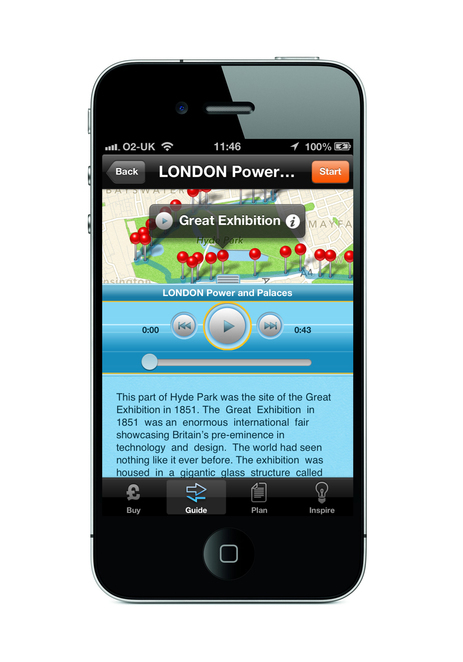 The alternative tour guide, download to get London in the palm of your hand. If you fancy really getting to know the city that you live in, then check out Cities Talking the pocket guide book that includes the information the guide books may have missed out. For example did you know that St Thomas' Hospital used to have seven buildings, representing different days of the week, supposedly so that staff could identify which day patients had been admitted? Also did you know that whilst the House of Commons is in session it's illegal for a member of parliament to wear a full suit of armour? And the St James Park used to hold a leper colony? You won't get that on the top of an open topped bus! 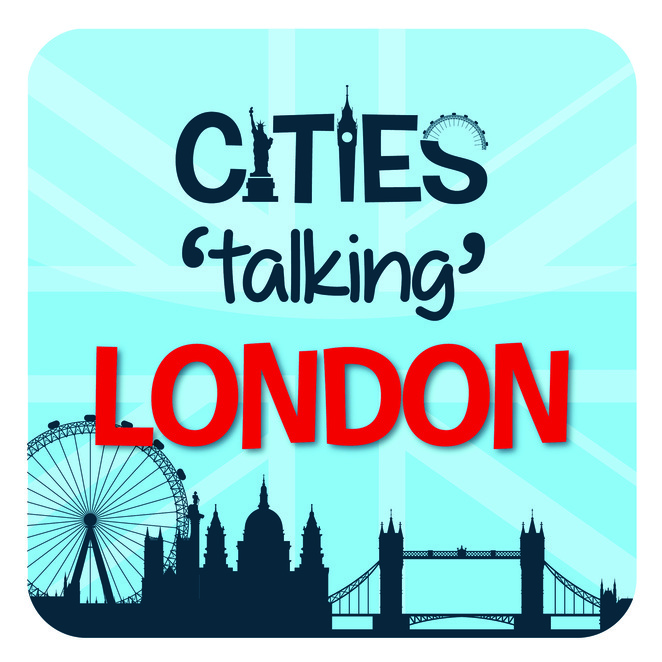 Each of the five newly launched 'Cities Talking' apps are made up of different points of interest in five different audio tours including Trafalgar Square to St Pauls, Kings and Democracy, Power and Palaces, Death and Rebirth, Art and Underworld and finally the West End Art scene. The apps feature handy on screen text and controls so you can pause or rewind and play whenever you like, or even plan your own tour by skipping some of the points you are less interested in. You are fully in control. Considering you won't get much change out of £20 for a bus tour around London, this app is a bit of a steal at only £2.99. To top it off they are launching a new freebie tour app, just so you can test it out before buying. They are great too if you are planning a trip soon. Why not use them in some of the other locations including Amsterdam, Budapest, Paris and Prague to name a few? I hear that other locations are in the pipeline too. The London Talking app take just minutes to download and are narrated by Christopher Biggins no less, while one of the walks was written by author and travel writer Kathy Lette. There is one particularly fab little feature, 'inspire', where you can choose the type of tour according to what you need (for example, 'rainy day', 'family friendly' or 'history'). It's well worth checking out and recommending to friends that you know visiting London. 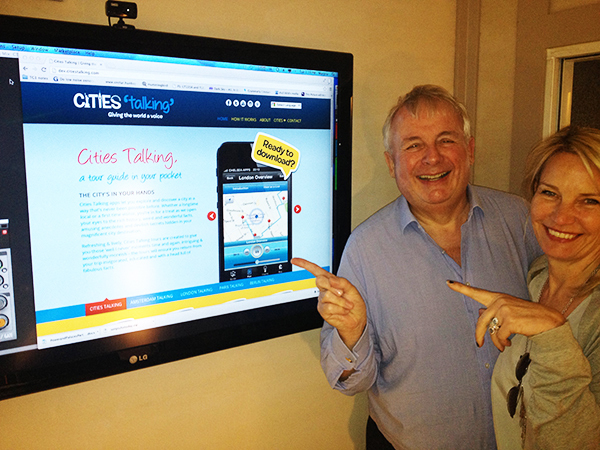 Check out the Cities Talking website for handy tips on how to use the app. About the London Talking tours. Let me know below how you find the apps, and if you know any fab apps for wandering around London. interesting... does this app work similar to those travelling apps/UMDs on PSP?